This week South Dakota is reflecting on the contributions of law enforcement in its communities. 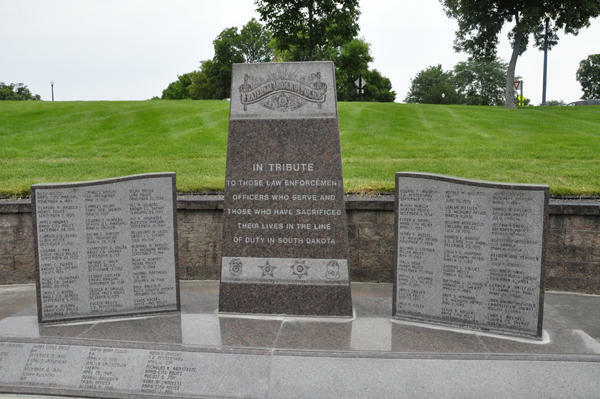 It’s National Police Week, and officials in Pierre are hosting events to honor officers who lost their lives in the line of duty. Dusty Pelle is with the Pierre Police Department. He says that this week is important for the public to realize the serious role police play in the community. “I think it’s just to remember all of the officers that have given their life and sacrifice in the line of duty, and to respect those officers that have given their life and to honor those guys that are still out there doing their job and risking their life every day to protect innocent people,” Pelle says. Pelle says events in the state’s capital city include a wreath-laying ceremony at Capitol Lake Monument and a memorial service on Wednesday, along with an appreciation dinner Thursday evening.